When looking for the perfect wedding venue, what do you look for? A barn wedding venue? A Manor House or a fabulous hall? Cheshire is home to some of a the most beautiful wedding venues in the UK. 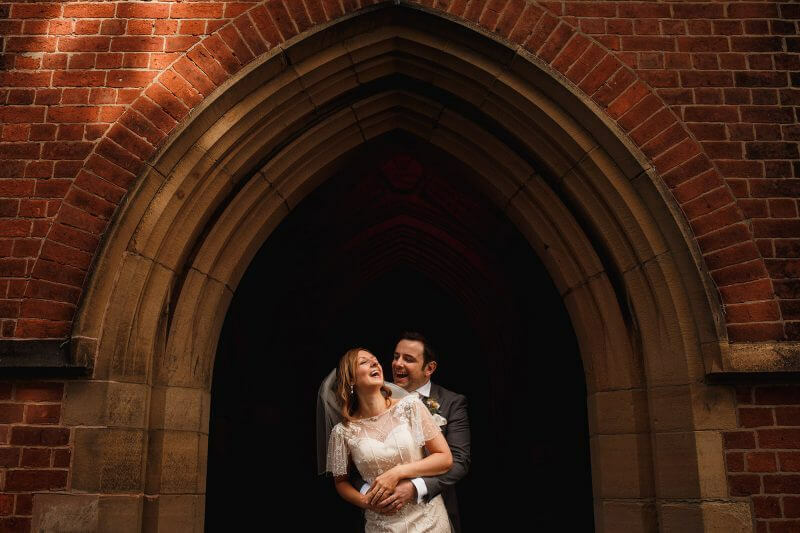 Thats why I’ve put together this short list of the Best Cheshire Wedding Venues for you to give you a little inspiration. I have photographed some of my favourite weddings in Cheshire and with it being so close to home, being just a 30 minute drive to most venues in the are is perfect. 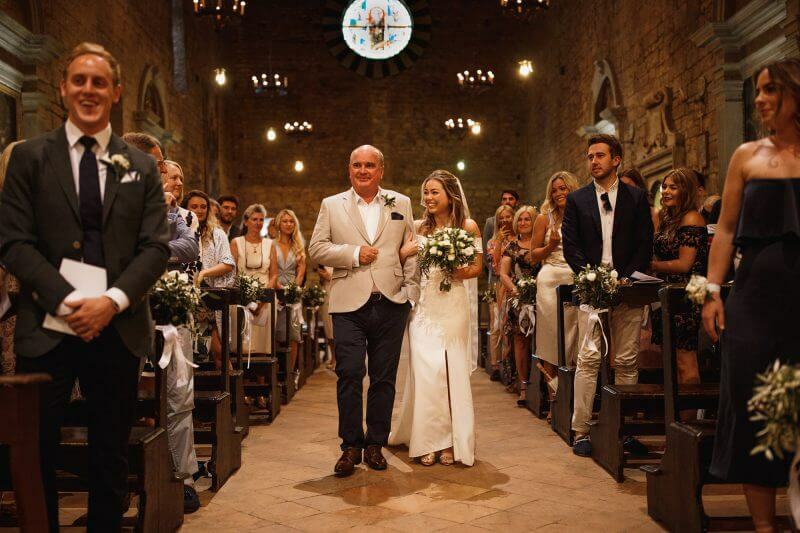 People come from all over the UK and even the rest of the world to get married in Cheshire. The venues here really are beautiful and set in beautiful surroundings. I really hope this short article can give you some inspiration and help you in choosing your wedding venue. Peckforton Castle is a sought after wedding venue in Tarporley, Cheshire. During my time here as a Peckforton Castle Wedding Photographer I have witnessed some amazing weddings. The Great Hall is the go to choice for most ceremonies here. 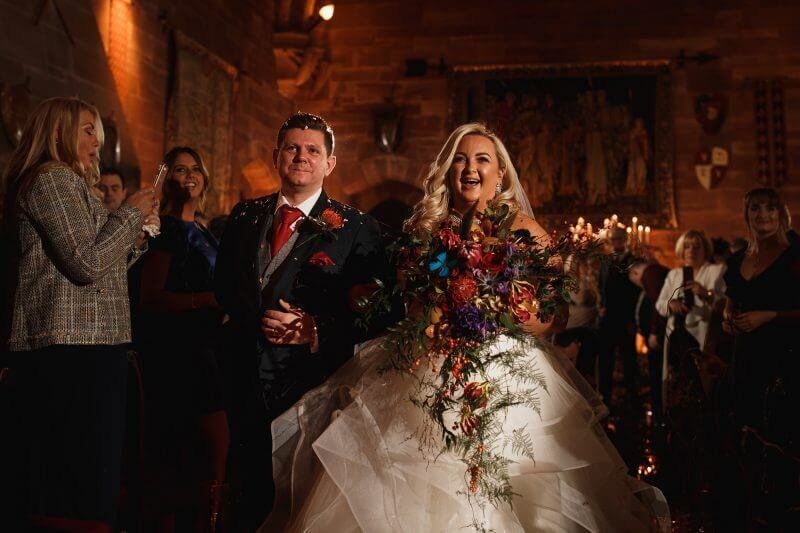 At Steph & Deargs Peckforton Castle Winter Wedding there was such a good vibe and although ultimately its the wedding guests that make the wedding what it truly is, this Cheshire wedding venue really adds a vibrant atmosphere. 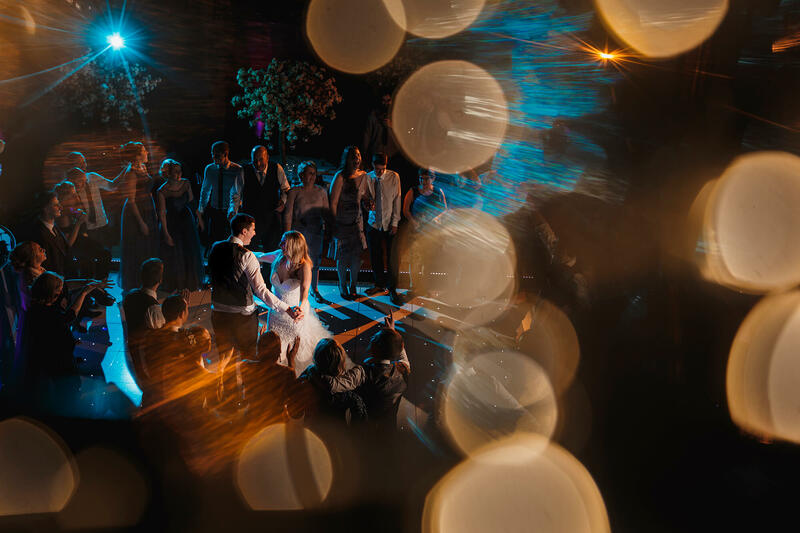 The first dance photo you can see above here of Sam & Sarah is a great example of the atmosphere and why wedding photography at Peckforton Castle is something I love to do! I just love making images like this for my couples. Nunsmere Hall is not too far from Peckforton Castle actually and is perfectly nestled in the Cheshire countryside. Being a Nunsmere Hall Wedding Photographer has given me to experience of shooting in a venue that it super intimate. This is a perfect setting for weddings as weddings by nature are pretty intimate. I love how this wedding venue has a beautiful woodland walk down to a beautiful lake. A perfect place for wedding photos and some more alone time with each other as newly weds! I remember during Anna and Karls Wedding they really enjoyed the walk down to the lake. I just LOVE this wedding venue. Owen House Wedding Barn has a real “barn” feel to it. 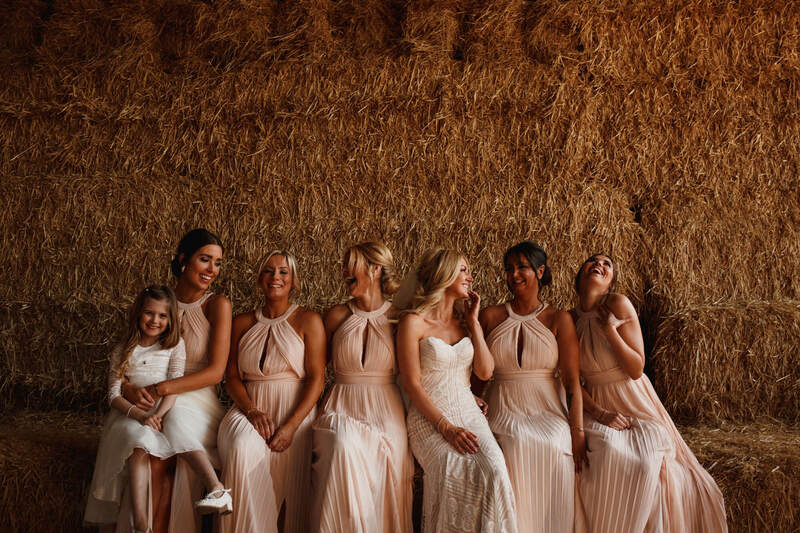 There are plenty of barn wedding venues all over the UK but this one for me is super authentic and being an Owen House Wedding Barn Wedding Photographer is just so much fun. Kate and Michaels wedding here was just that. Fun. Weddings are celebrations of Love and when I capture them I want to capture just that. This venue provides a beautiful setting and atmosphere that allows wedding parties and wedding guests to really relax and have fun. This in turn helps me to capture beautiful organic and natural moments. The Oak Tree Of Peover really is a hidden gem in the Knutsford, Cheshire area. I remember driving along the country roads trying to find this wedding venue the first time I ever went there and was worried I was just getting lost. Then from out of nowhere there is a turning off a country road leading down a beautiful drive then the oak beamed wedding venue sits there looking incredible. My Oak Tree Of Peover Wedding Photography really shows off My Style of photography. The surrounding countryside of the wedding venue provides you with your own little private piece of Cheshire for your wedding. If you want something a little secluded and someplace that feels like your own, this is the venue for you. Walking into Thornton Manor is like stepping back in time. If you wanting a feeling of grandeur and elegance then this is the perfect wedding venue. As a Thornton Manor Wedding Photographer I’ve been lucky enough to photograph here and I just love shooting in the grounds. During Tara and Edwards Pre Wedding Shoot we got to explore the locations the venue had to offer at our own pace. It was so much fun too.